BFF went to NYC whilst I took the POD retail tour of Europe. With 24 hours in LA I sent him to scope out the recently re-furbed (or should that be re-fab'd) Santa Monica Place. Originally opened in 1980 as an enclosed mall designed by Frank Gehry, Dallas based architecture practice Omniplan has radically repositioned SMP with a green-driven renovation. It is now a sleek open-air shopping & dining destination that is accessible to the neighborhood from all sides and remains open to pedestrians 24/7. I was particularly interested in the new Bloomingdales (a refurb of a Macy's store) and how they had tweeked their signature finishes (black & white check floor etc) to reflect the casual beach lifestyle of sun-drenched California. The signature elements are there, they are just less polished and formal. The facade of shiny disks takes a leaf from Maison Martin Margiela that can be found just down the street. The retail has been re-mixed with upscale brands more suited to this casual chic neighborhood and the Dining Deck has views of the Pacific Ocean. Mojito anyone? Business took me to Northland last week. On the journey I spied Gypsy Hideout, a cafe that opened a month or two ago. Whilst I didn't have time to test the menu something tells me the food might be good. Perhaps it was the leaf on the lemon that made me think their Yia Yia (Nonna/Granny) had picked them fresh from her tree in the front garden just that morning? Seriously I'm making that up, but you get the drift... the ingredients looked like they had flavour. A first time cafe for the friendly young crew behind the counter. I wish them well. Gypsy Hideout, 68 High St, Westgarth. 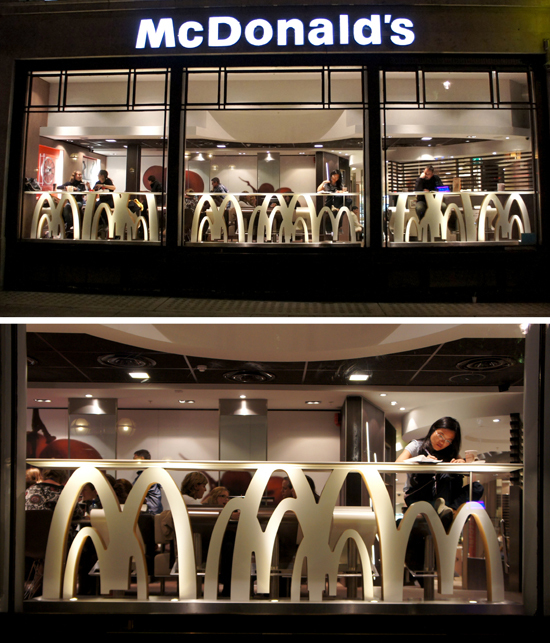 I thought this a simple yet eye catching use of the 'golden arches' that said a lot about the brand via design rather than signage. This store was somewhere in the Leicester Square vicinity. For readers who have never heard of Julia Child (I could easily say err hello?! ... but I have to remember you might not be a foodie) the movie Julie & Julia put JC back on the public agenda. She was my hero when I ditched corporate life at 30 and trecked off to London to attend cooking school. For those not in the know, Julia Child was a formidable woman who revolutionised American cooking (played brilliantly in the movie by Meryl Streep). Half a century later JO (Jamie Oliver) has educated a whole new audience on the joy of cooking, although his influences are Italian rather than French. Either way, both deserve the Nobel Peace Prize for their contribution to humanity (according to me that is). Jamie's Italian, Covent Garden, London. 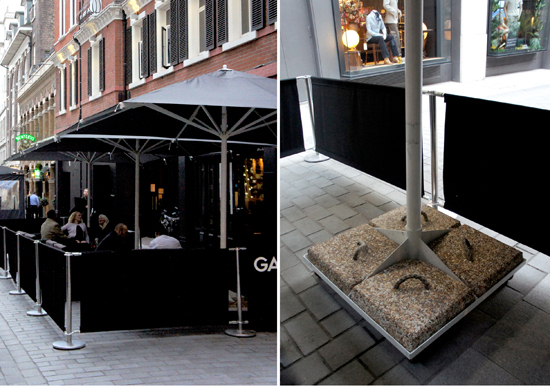 One of my pet hates is crappy sandbags used to hold down an umbrella in an alfresco seating situation. I liked this neat solution that I spotted in London. Each year I try to visit a couple of new cities, or ones I haven't been to for quite a while. Merci and Quay Branly were two of the reasons I put Paris on my 2010 tour (it had been 8 years since I had taken a peek at Pari). After experiencing Patrick Blanc's vertical garden at Trusardi cafe in Milan I decided I wanted to see his work on a bigger scale. 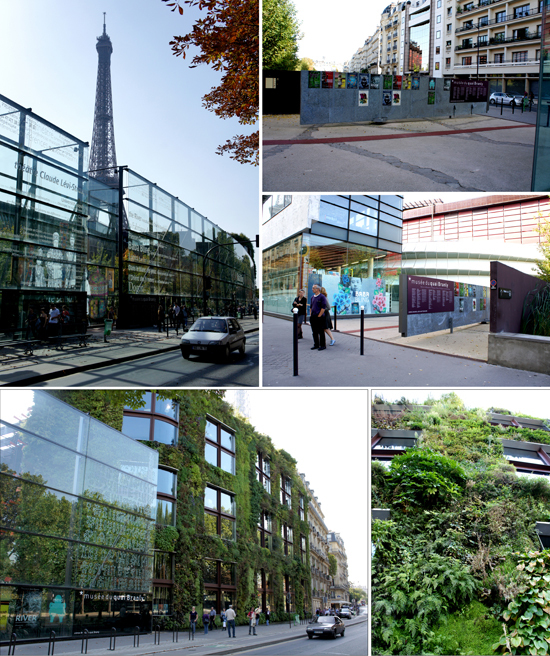 Musee Quay Branly is a gorgeous green surprise located right by the Seine ... an eclectic museum of modern art that includes a significant Aboriginal collection amongst other things. And just for the record... you can look at all the pictures you like in a magazine or online but there is nothing like standing in a space and soaking it up. This side trip was so worth it. I'm happy about that. It's spring racing season in Melbourne. By some bizarre co-incidence it seems that every year the lovely Kirsty and I end up in the same train carriage on the way to the track (what are the odds on that?!). I recall last year we had a yack about the new venture she had in the pipeline after taking a well deserved break (she established and ran Tangello in Hawksburn Village for 15 years before selling out few years ago). Sissi & Co, with shiny new stoves and loads of style, is her new cafe that opened just a few weeks ago. It's light, bright and familiar. Today I re-discovered the artichoke pate, brilliant chocky brownies, soups and casseroles to take home ... all the things that made Tangello a raging success in the first place. Whilst still settling in, Sissi will no doubt go off like Sydney's New Years Eve fire crackers given Kirsty's track record and the lack of good cafes in this somewhat sleepy strip on Malvern Rd (that is no doubt about to undergo a Sissi inspired resurgence). 1290 Malvern Rd, Malvern. BTW... a little bird told me that Sandi Bird was the designer here - nice work. As a kid growing up in a very small country town I loved nothing better than to go to a clearing sale with my Father. I've been a junk skunk from an early age and my home is a mix of modern and mid century pieces that I've collected over the past 30 year. I am a big fan of Emily Chalmers Flea Market Style, her tome to an interior taste that is right up my bower bird alley if you know what I mean. I finally got to snoop around the increasingly gentrified Shoreditch where Emily's shop, Caravan, is a little show stopper on Redchurch St. Big thanks to Emily for sending through some snaps to add to my pics. 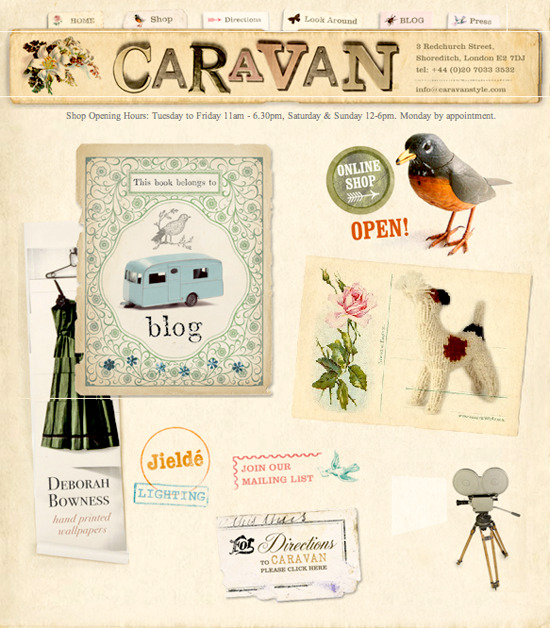 If you can't make it to London go on line for a lookie see at the fab things you will find here. One of the upsides of a city on strike is that you get to walk and see a lot more than you might have had you caught the Metro instead. With not a taxi to be seen and the Metro going nowhere I didn't cover as much ground as I had hoped in Paris... but on the positive side I got to see things I might have otherwise missed. I loved this simple, yet striking, window of the famous ballet shoe store, Repetto. This is their flagship near Opera. 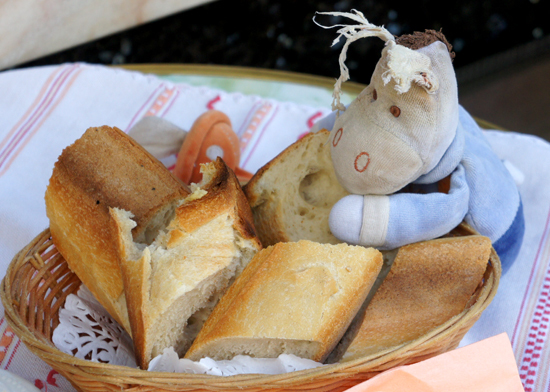 I spotted a little boy having lunch at an outdoor table in Paris with his well-washed and much loved little friend. I could only assume his parents owned the cafe given he was sitting by himself. Alternatively he was a very confident and urban five year old who likes to get out on a Saturday for an alfresco lunch. Too cute not to post!